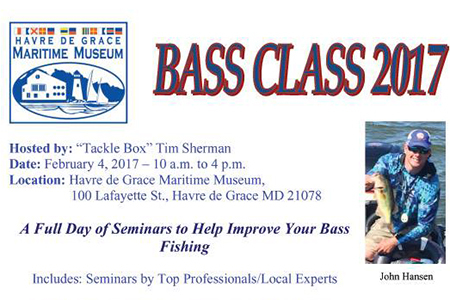 Tim "Tacklebox" Sherman is BACK for Bass Class 2017! Improve your bass fishing with a full day of seminars, taught by five expert anglers from around the Bay. Lunch, coffee, door prizes, Q&A period.